Welcome to Mag Challenge by the page!!! This week we are using Smiley Cards page 54, remember we can only use the images on this page, everything else has to be embellishments. I will be using the hat and face image! 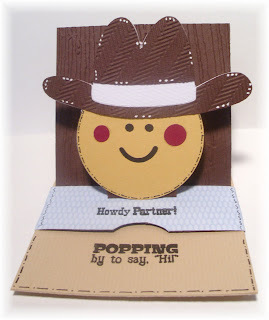 This week I have made a Sliding Pop Up Card and you may visit the tutorial here! 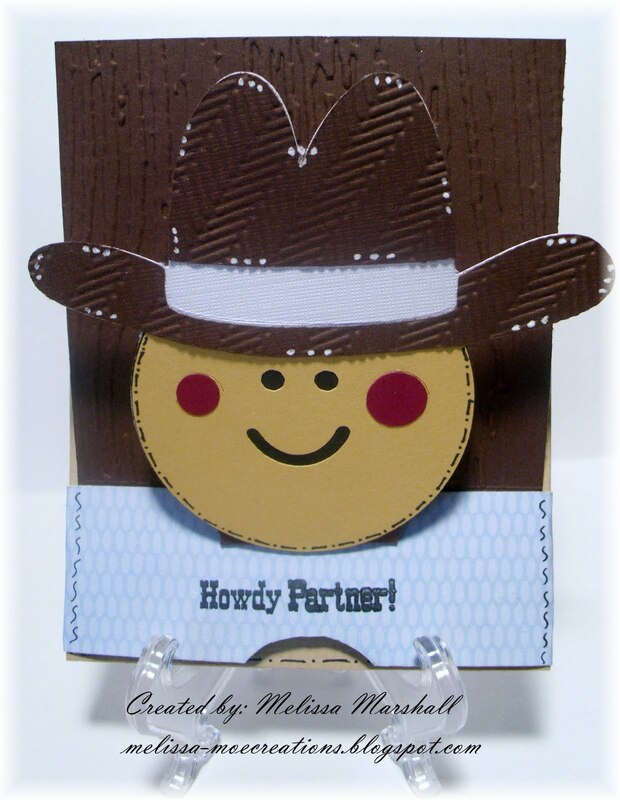 My Cowboy face is cut at 3.93, all papers are from my scrap bin!!! I also used Tim Holtz Wood grain and Cuttlebug Herringbone embossing folders! The Stamps are from Joy's life. I hope this has inspired you to join in on the challenge and link your project to M.A.G. Challenge, make sure you invite a friend to join in on the fun! I love interactive cards. It seems that blue was the theme this week. Great job! Question? 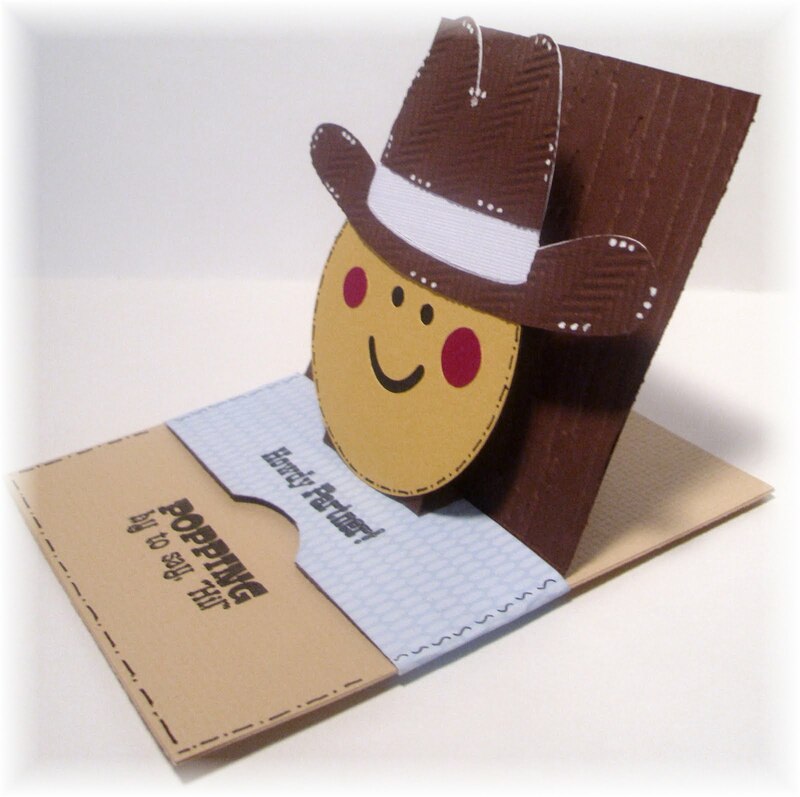 Where did you get the Smiley Cards Handbook?? Lovin your cowboy! Cute card, thanks for sharing! Way too cute! Love how he stands. Your card makes me smile! Adorable!